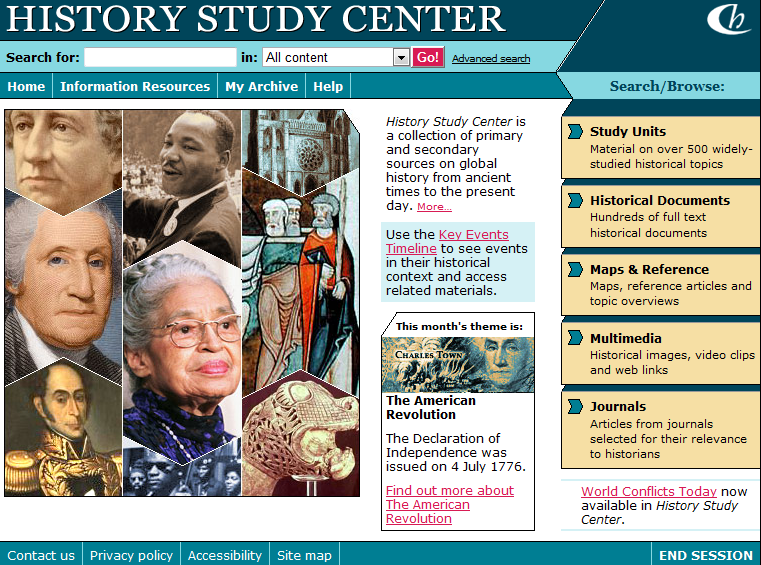 What Is History Study Center? 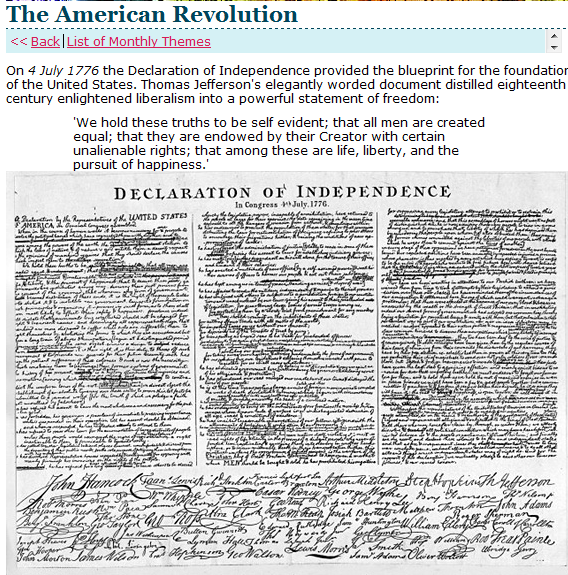 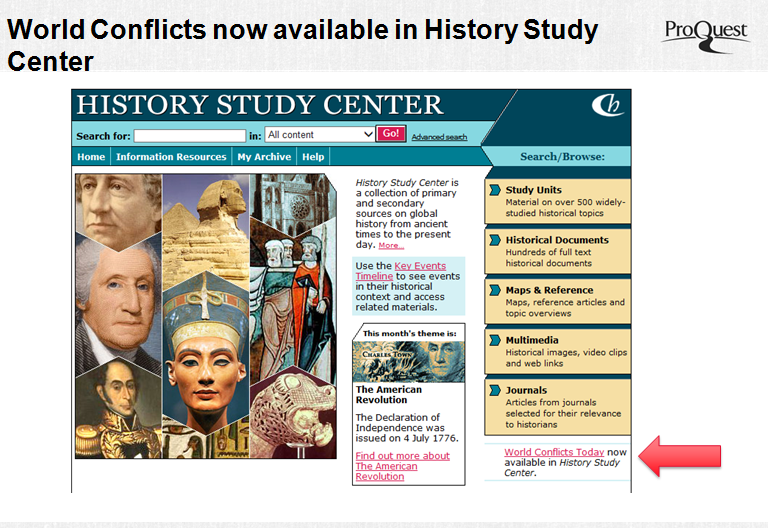 History Study Center is a unique reference tool that delivers a comprehensive collection of primary and secondary source material that meets the needs of both AP and mainstream courses in Social Studies. 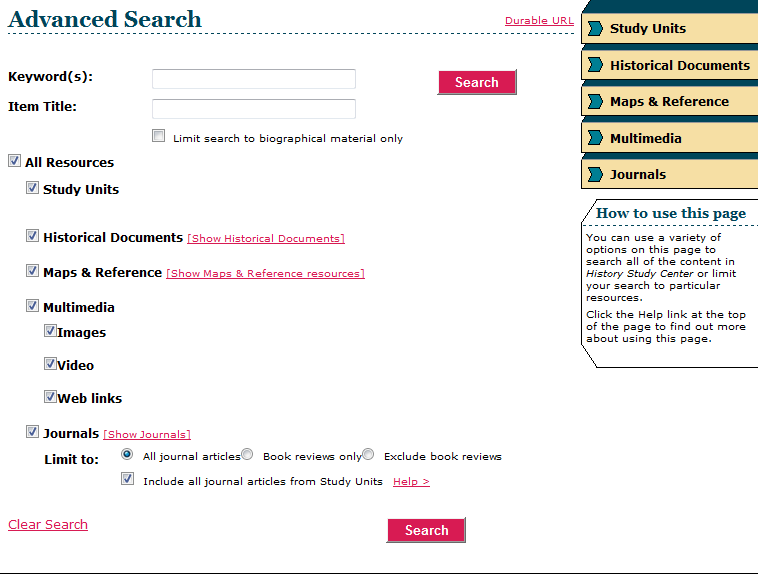 This product is available as a standalone resource, or is bundled with eLibrary® Curriculum Edition. 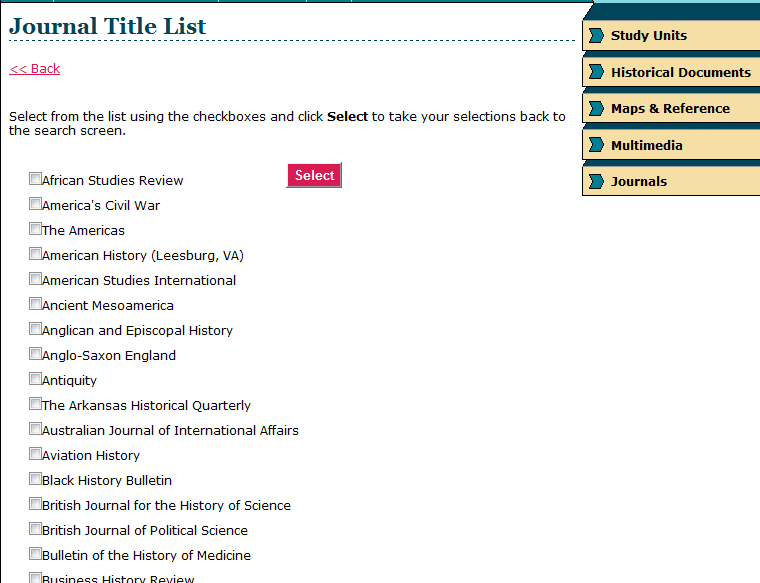 Enable researchers to comprehend the "what’s" to the "why’s" behind the complex issues of 10 World Conflicts.